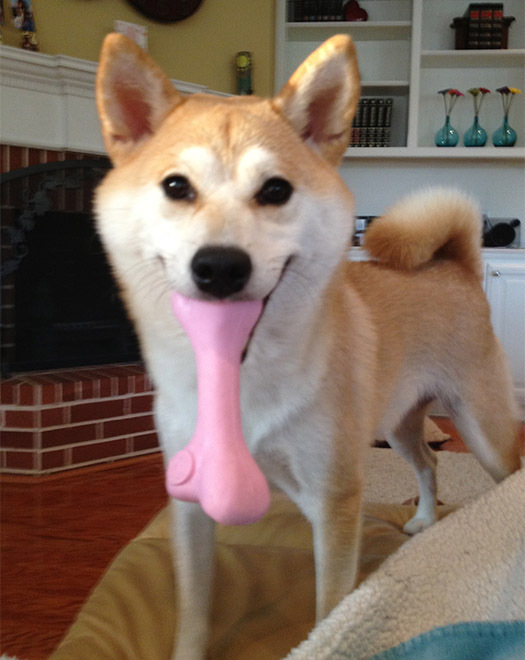 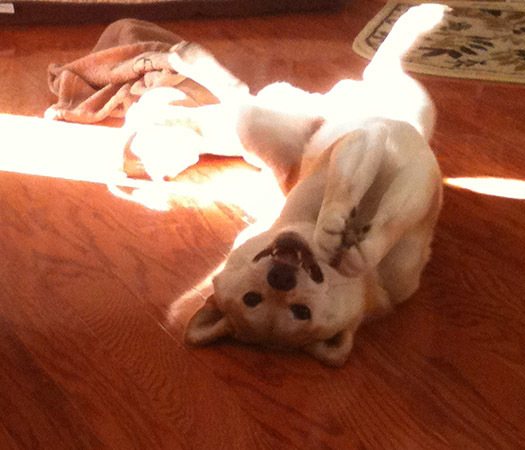 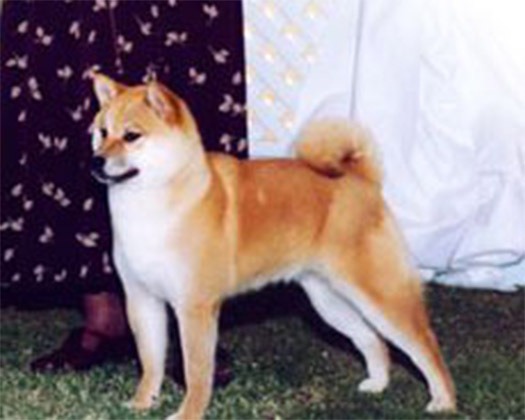 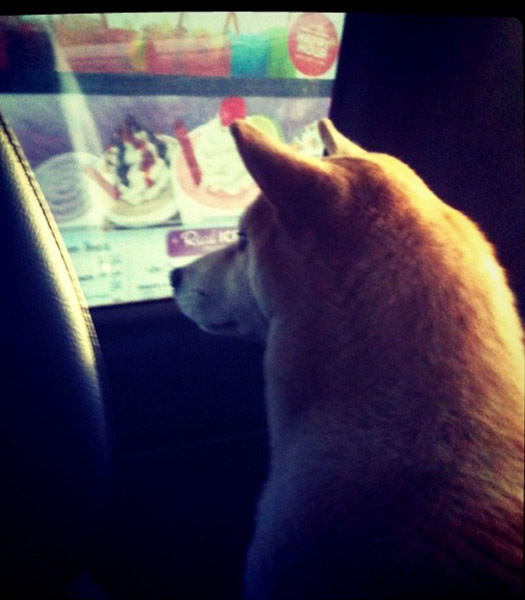 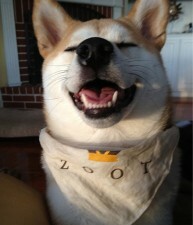 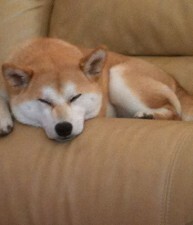 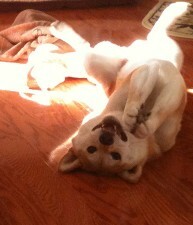 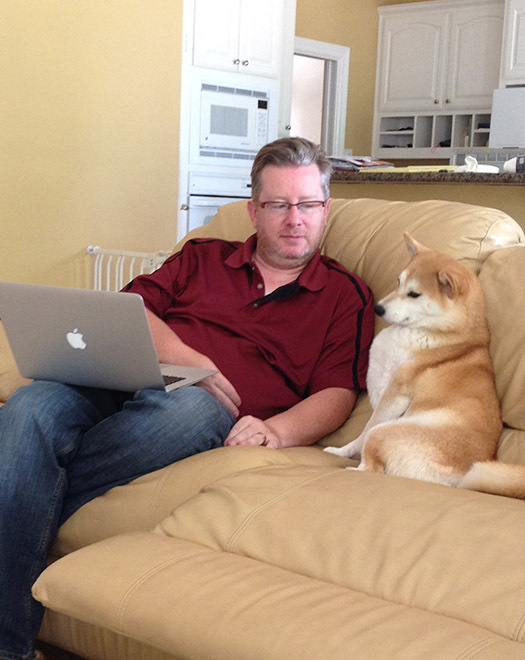 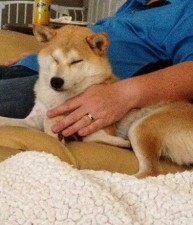 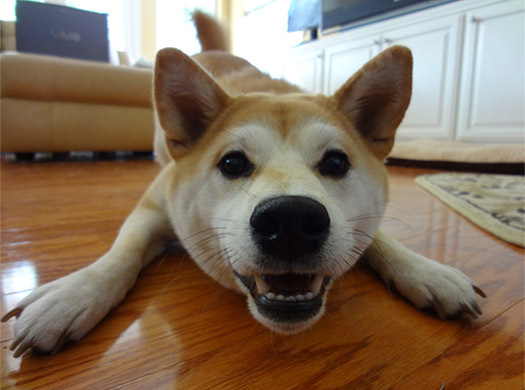 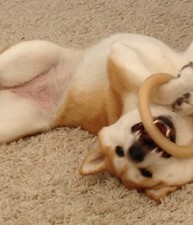 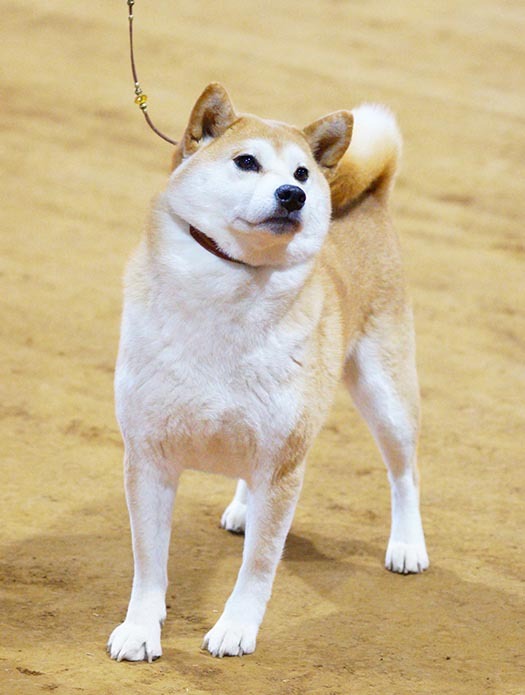 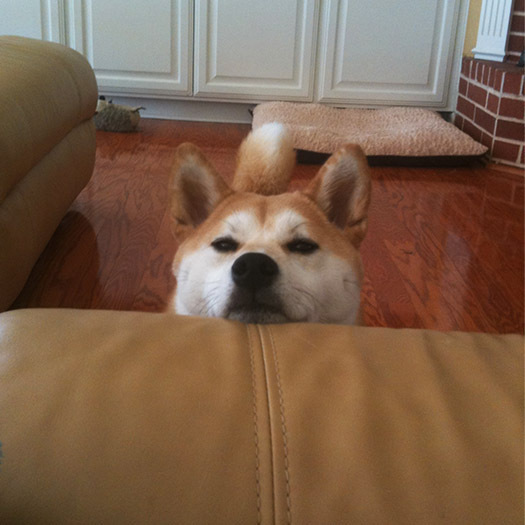 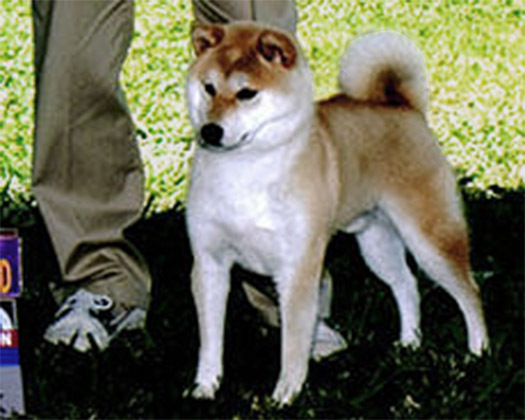 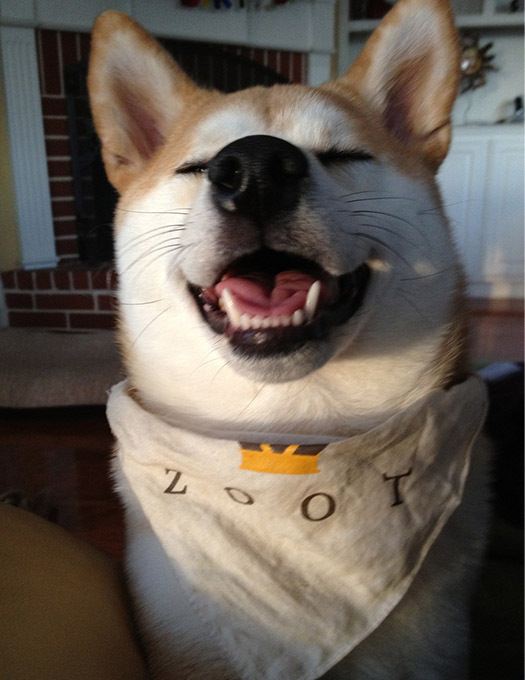 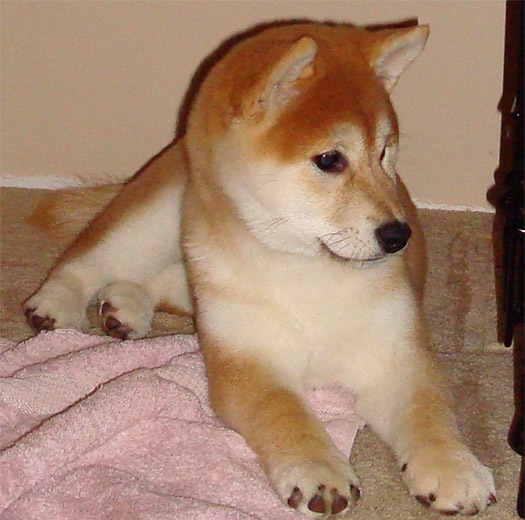 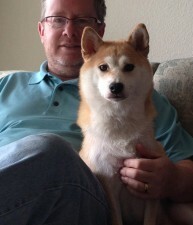 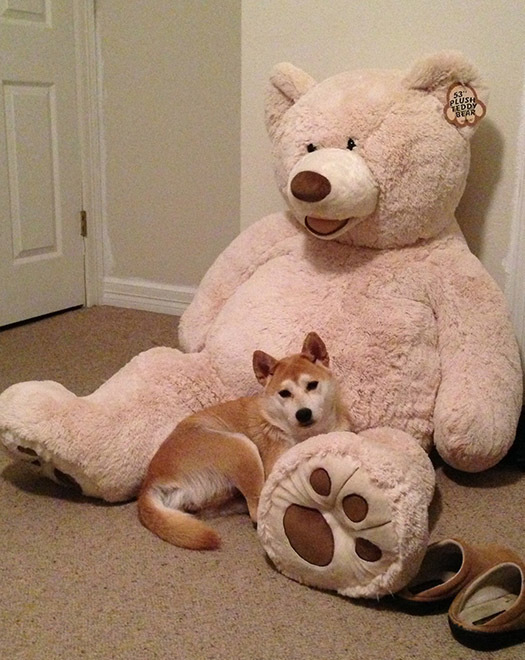 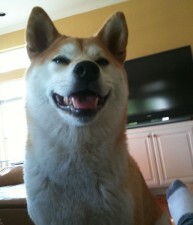 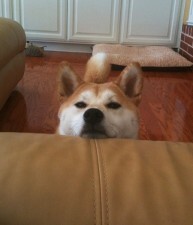 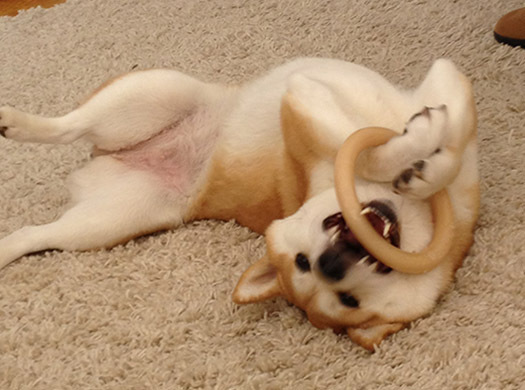 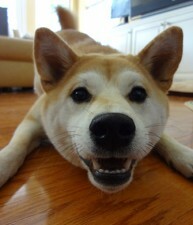 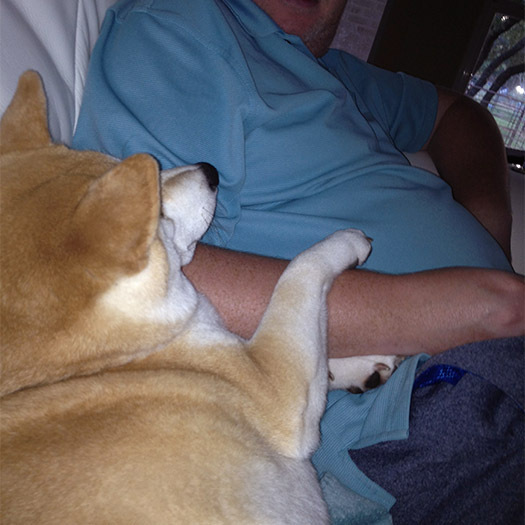 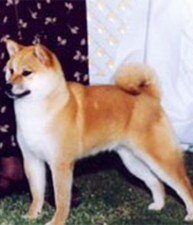 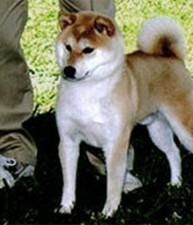 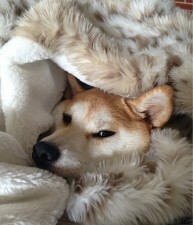 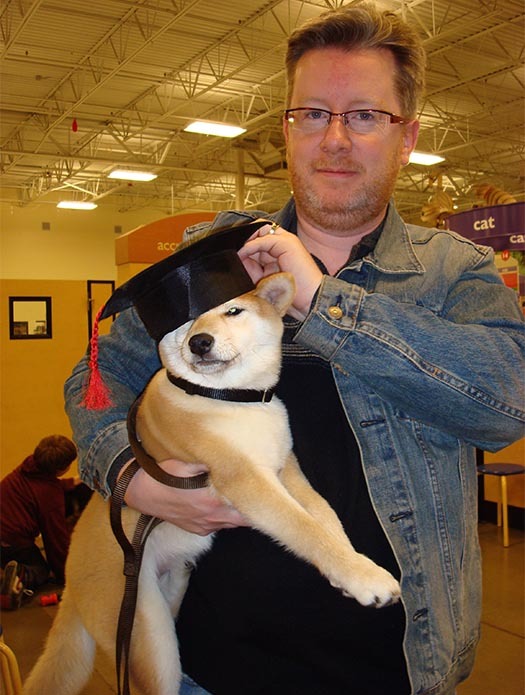 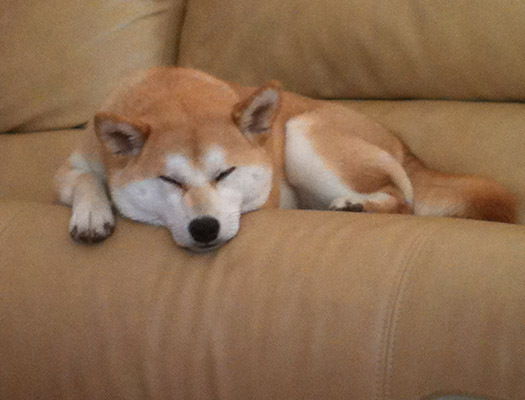 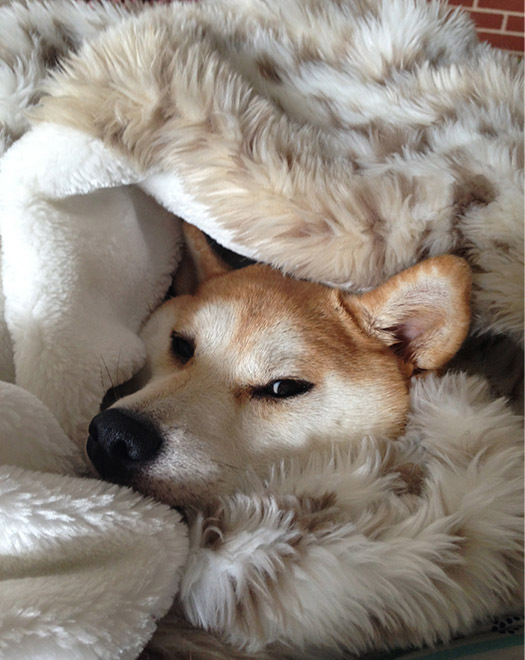 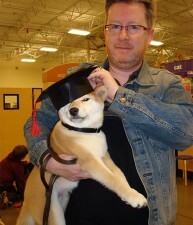 Yuri is an American born Shiba Inu. 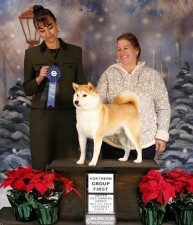 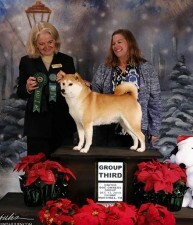 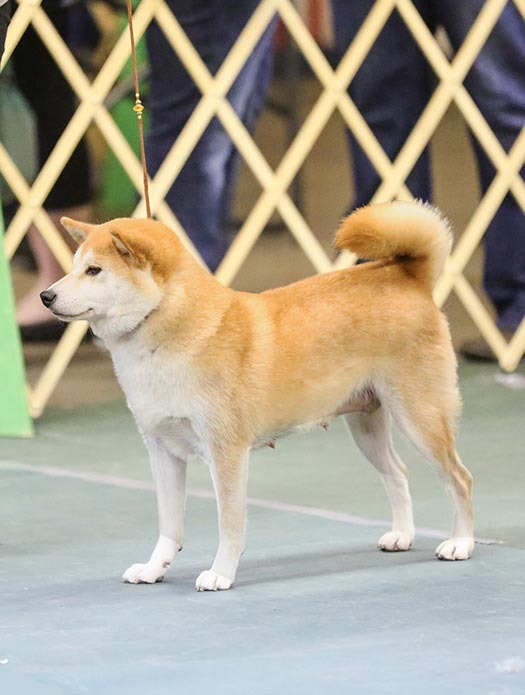 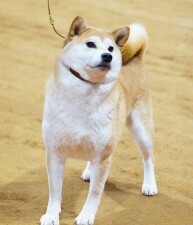 Both her parents are Japanese imports and AKC Champions. 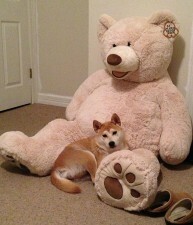 Yuri has several brothers and sisters who are champions as well! 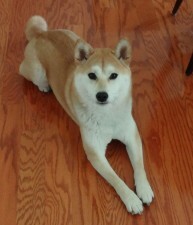 She is such a people dog. 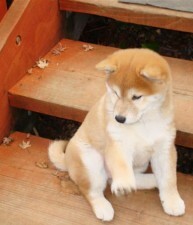 She loves meeting new people; wags her tail like you are the most important person in the world. 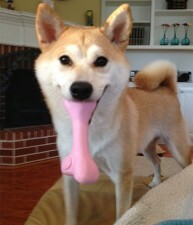 She is super smart and loves to do tricks. Yuri is a gentle girl who loves to play with the puppies and teach them how to tug and fetch the ball; perfect puppy sitter! 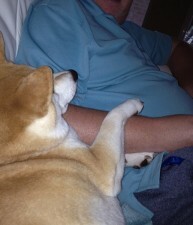 Whenever we have to do something that the puppies may not like, we do it to Yuri first. 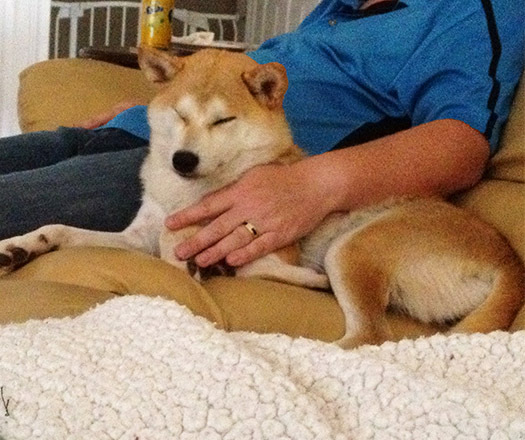 She demonstrates how to trust us and gives the puppies a positive example to follow. 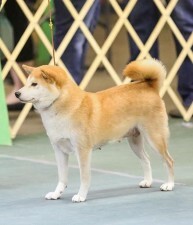 Yuri is now retired from the show ring and from breeding. 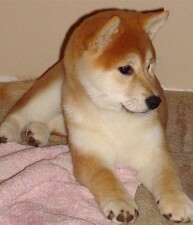 We would be interested in placing her with a family where she could enjoy a lot of love and attention. 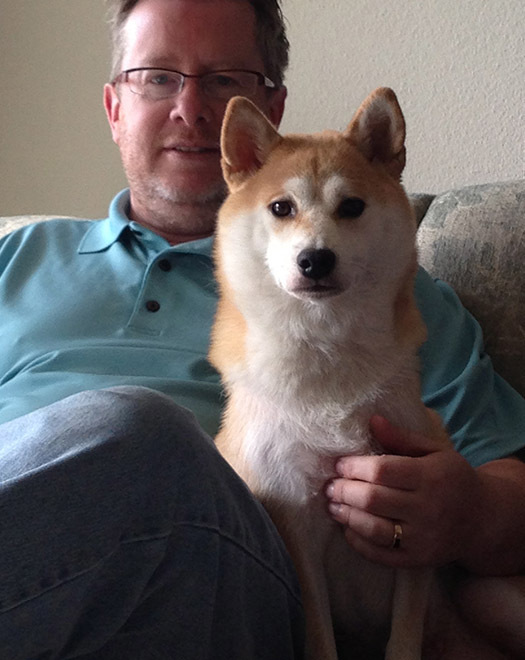 If you would like to include Yuri into your family, please contact us for more information. 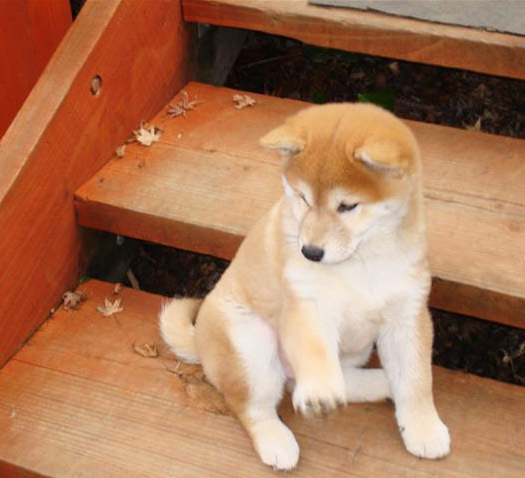 I Didn’t Do it; I Swear!